Why this title? – Because Greece doesn’t have to continue playing the card of the victim, nor being masochist. Greece seems to suffer under the Stockholm Syndrome – she is in love with her hangman. Greece could change this. Exit the prison, exit the EU and exit the euro. Greece could return to her sovereign national currency, her own sovereign central bank, make her own monetary policy and implement it with a sovereign public banking system that works solely for the Greek economy. Within less than 10 years Greece would have recovered and would even be able to pay back some of her illegally begotten debt. Although, here it must be added, according to international law, most of Greece’s debt was imposed by the troika under illegal circumstances. It’s also called “odious debt”, the description of which reads “In international law, odious debt, also known as illegitimate debt, is a legal doctrine that holds that the national debt incurred by a regime for purposes that do not serve the best interest of the nation, should not be enforceable. Such debts are, thus, considered by this doctrine to be personal debts of the regime that incurred them and not debts of the state.” This doctrine is complemented by a similar one inscribed in the charter of the IMF that says that the IMF shall not make any loans to a country in distress, that will unlikely be able to reimbursed the debt and pay the debt service. There is not a day that goes by without Greece making the headlines as being abused by the troika (IMF, European Central Bank – ECB and the unelected European Commission – EC) and by the Germans. Here are three of the latest examples, but there are many more – “Destroying Greek, Plundering Greece. The Latest Update” (by Leonidas Vatikiotis); “Austerity: Public Hospital Halts Chemotherapy, turns away Cancer Patients, because ‘Budget Exceeded’”; and “Greece Crisis: Cancer Patients Suffer as Health System Fails” (Giorgos Christides). Already years ago, The Lancet reported an increase in Greek suicide rates and child mortality. The misery is indeed real and mounting every day. The western imposed atrocities also abound on a daily basis. Salary cuts – and at least five pensions reductions since 2010, an almost completely dismantled social safety net. Those who depend on it are generally poor. More than 4 million people out of a population of 11 million live at or under the poverty line; 15% live in absolute and abject poverty. About 28% of children live in absolute poverty, meaning malnutrition and diseases, stunting growth and brain development. At least a generation of Greek may be in part intellectually challenged, possibly implying health hazards and restricting economic development over the next 20-some years. Unemployment is hovering around 25% – 30%, with close to 50% for youth (18-35 years). The outlook is grim and promises to become even grimmer. Public hospitals and schools are either privatized or closed because of lack of budget. Medication is scarce, as part of imposed import restrictions, imposed by Greece’s lovely European neighbors and allies or overseas masters. Specialized and expensive medication, for example cancer medicine, are especially scarce. People die from flu, from colds, from pneumonia – even intestinal diseases that could normally be healed as a matter of routine, but there are not enough antibiotics available. Austerity – budget cuts. Thanks to the brothers from Europe – and again their masters form overseas. Greece has absolutely no control over her budget anymore. She had to sign this responsibility over to Brussels for what? – another ‘rescue package’ – what else. In September 2016, the Greek Parliament had to approve hurriedly, in less than a week’s time, a 2000-page text of legislation, drafted by Brussels in English, unreadable in this short time for most of the Greek Parliamentarians, with which the Greek Parliament signed away not only all of the publicly owned enterprises and infrastructure to the “European Stability Mechanism” (ESM) for 99 years, during which period all of it may be offered to fire sale prices for privatization, or outright demolition; but, as if this was not enough, the Parliament also signed away its sovereign authority over the Greek budget to Brussels. Can you imagine? This in the 21st Century. It has not happened since in 1933 the Bundestag, the German Parliament, signed over all decision-making power to the “Führer” – Mr. Adolf Hitler. This is outright EU imposed fascism. The world watches silently – and in full complicity – the literal dismantling of a sovereign country, with the esclavisation and impoverishment of the population that goes with it. This, though, is not news. It’s rather well-known. It has been written about umpteen times, by umpteen journalists and writers, to greater or lesser extent criticizing the troika, the Greek government, the EC / IMF / BCE imposed austerity, as all three know very well that austerity does not work, nowhere. Never did. So, why repeat it here, in yet another article? – Because it must be said again and again, and repeated ever so often, until the Greek governing body listens. 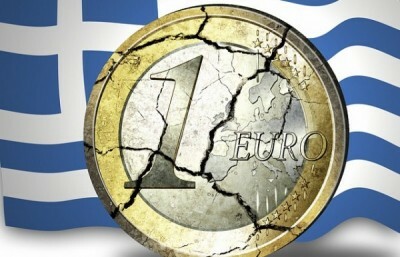 Greece could stop this bloodletting and misery for the majority of her people almost instantly – by quitting the euro, and by quitting the European Union. She would not be left alone. Acts of Solidarity would come from Asia, Latin America and even Africa. Such offers were already made in 2014 and 2015. But they were not heeded, since the Greek elite wants to part of the EU elite, rubbing elbows, being part of this nefarious club. Many pictures, too many, have been circulating of Mr. Tsipras and his buddies laughing and cajoling with the Lagarde’s and the Junker’s of this world. Greece could have exited the EU and Eurozone from day one – with the first rescue package in 2010. But she didn’t, for whatever reason. Maybe personal threats to the Tsipras family and Government and / or the “left-wing” Syriza party? – We don’t know, but all is possible in a western civilization where opponents of the Master hegemon in Washington and his dark handlers, are simply assassinated. John Perkins, explains clearly how this works in his bestseller “Confessions of an Economic Hitman”. But what about integrity of the leaders, of the party, their obligation to the Greek people? Integrity and support foremost to the average Greek, not the Greek elite which way before the troika-Germany onslaught, transferred billions of their euro holdings to Switzerland and other western safe havens. The Tsipras Government’s duty to the vast majority of Greek, who have to survive from their daily work and miserable pensions, has been betrayed. For these people integrity would have called for quitting the Eurozone and the EU. Why holding on to a European Union that only despises Greece by its non-action, by watching passively over the destruction of their brother? There are no trustworthy allies in the EU. They are all beholden to Brussels and to Washington. There are only greedy enemies. Greece has been singled out as an example for worse to come. Other mostly southern EU countries that were given the insulting name, PIGS (Portugal, Ireland, Greece and Spain), would be treated equally, i.e. sucked into oblivion – if they would dare to resist the systematic milking by the western financial system. 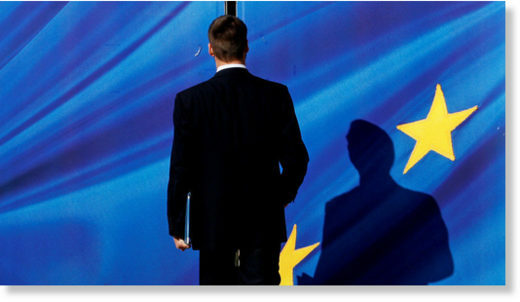 This EU – euro system cannot be reformed. And since abolishment or the simple collapse which is clearly written on the wall, is being extended at all cost, including the blood and lives of the Greek population, there is only ONE WAY for Greece to safe itself – LEAVE THE EURO – LEAVE THE EU. Greece’s debt today (January 2018) is € 320.2 billion, or 190.4% of GDP (€ 168.2 billion) – and steadily mounting – with an annual interest of € 17.6 billion, increasing at the rate of € 557 per second (€ 48.1 million per day) – See the Greek Debt Clock. So, there is no relief in sight, no matter what western pundits and the IMF are saying. All lies, as is usual in the western world. Greece will never get out of her mountain of debt, while being a member of the euro-zone and the EU. Greece – wake up, you have the opportunity to walk out of the EU and save the lives of more than half of your population, who are at risk of famine and deadly diseases – Mr. Tsipras and Co. no matter what lengthy theories and economic projections the elite economists who want to save their billions of euros hidden in safe havens, will present to you – it is your duty, your civil obligation as an elected official, elected by the people, to honor the people’s lively interests and to exit this horrendous repressive and abusive club, called European Union. Greece – you must regain your sovereignty. Leaving the EU and the euro does not mean you are leaving Europe. Greece, as every pupil knows, is geographically anchored in Europe. Greece is one of the most dramatically beautiful southern European countries and will continue to be visited by millions of tourists from around the world, and naturally from Europe. Other nations will want to trade and deal with Greece and her charming, friendly and smiling people. Friendliness and beauty is one of the key trademarks of Greece. Greece will gain even more respect for standing up for herself. It’s late – but never too late. Take back your local autonomous currency, take control of your economy through local public banking with low or no interests to stimulate yours – the Greek economy – not the German, not the European economy, but the Greek national economy. Within less than 10 years Greece would have recovered from the current depression. Others have done it, like Argentina, or even Germany, especially after WWII. You will not be left alone. Support, if needed, will be there, particularly from the East, from where the future is. Think of China’s One Belt Initiative (OBI) – which already is linked up with Greece through the Greek port of Piraeus. OBI is a multi-trillion-euro economic development program that will encompass China, Russia, Eurasia, eventually all the way to the western rim of Europe, securing jobs, scientific and cultural development, transcontinental land-and sea transport, trading and more – over the next few hundred years. The west is gone; passé. It’s greed and war-driven economy is slowly but surely committing suicide. If Greece is not seizing this last-ditch opportunity to exit the euro and to exit the EU, to literally safe her people’s skin, one might legitimately ask, has Greece become a convenient victim, subservient to its own elite and the Brussels-Washington masters, or is she simply masochistically enjoying her misery, borne, incidentally, by 80% of her population? The European Union fancies as a champion of ‘democracy,’ but its action show this doesn’t cover dissenting views, whether from an Eurosceptic party in Italy, austerity-hating Greeks, or any folks voting against its grand plans. Concerns about Europe’s disregard for the opinions of normal, non-technocrat, non-banker people have bubbled to the surface of social media after Italy’s recent close-call with the near-formation of a government with a clear democratic mandate. But the EU’s glaring democracy deficit has been an inconvenient characteristic of the bloc since its founding. Once upon a time – in 2004, to be exact – there was something called the Constitution for Europe. This proud document was meant to codify all the wonderful things that the European Union stood for: human dignity, free markets, the rule of law and democracy. Although it was enthusiastically agreed upon and signed by EU bigwigs, the constitution still required rubber-stamp ratification from each member state. And change it did. Sort of. After a great deal of soul searching, Europe’s top minds came up with an ingenious way to ensure that there would be no more democratic roadblocks interfering with their grand plans for Europe: The constitution would simply be rebranded as the Treaty of Lisbon – and this time, no referendums. Instead, the treaty would be ratified by parliamentary processes. Actually, there was one country which foolishly allowed its citizenry to vote on the Lisbon Treaty – but luckily this error of judgment was quickly rectified. In a 2008 referendum, Irish voters rejected the treaty by a majority of 53 percent. Not to be dissuaded by the will of the people, Ireland held another referendum on the treaty a year later – and this time the plebes voted the ‘correct’ way. The Lisbon Treaty’s ultimate triumph over the annoying will of the European people would be the first among many victories against the EU’s arch nemesis – the democratic referendum. In July 2015, the Greek people voted decisively to reject harsh austerity policies sought by the EU and other global institutions in exchange for modest debt relief and a multi-billion-euro bailout. But the Greek government, strong-armed by Germany and the European Central Bank, ultimately ignored the referendum results, and swiftly introduced tough austerity measures described as necessary in order to thwart economic collapse. 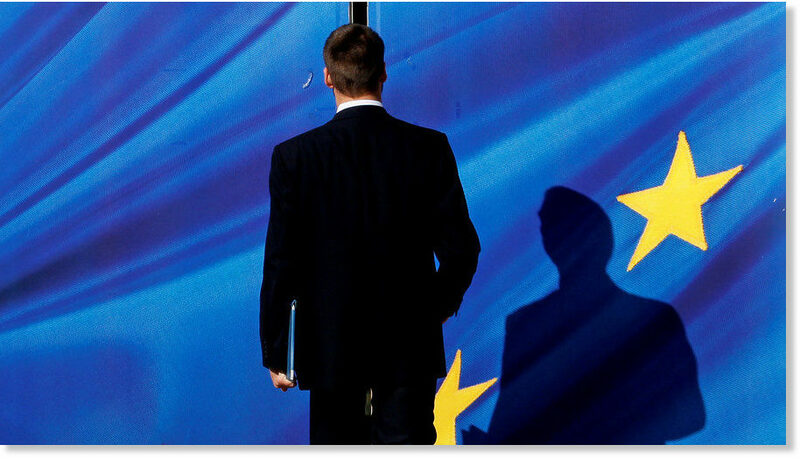 In a 2016 referendum, which has since created incalculable reams of breathless headlines, Britain voted to leave the European Union in clear violation of Brussels’ zero-tolerance policy for anything that it doesn’t like. Top EU officials wasted no time in calling the democratic result “stupid” and have even urged British youth to reverse the decision. Although the UK is scheduled to depart from the EU in March, 2019, Brussels has shown little enthusiasm for the necessary negotiations and agreements to ensure an orderly transition. True to form, some within Britain’s political elite are openly campaigning to prevent Brexit from taking place. Former British prime minister Tony Blair has called for a second referendum, and has urged Brussels to do all it can to persuade the UK to remain in the bloc. Aside from its bureaucratic foot-dragging and patronizing comments, Brussels has also cynically stoked fears about the economic and social consequences of Brexit. This tactic has been especially visible in the bloc’s dealings with Dublin. In October 2017, Catalonia held an independence referendum which had been declared illegal by Spain’s constitutional court. Organisers said 90 percent of voters backed independence, but turnout was less than 45 percent. Many voters who did go to the polls were greeted with police batons and arrests. More than 400 Catalans were reportedly injured as police forcibly removed voters from polling stations. After Catalonia’s parliament honored the result (a massive EU no-no), Madrid dissolved the region’s parliament, sacked its leaders and called a snap election. Usually eager to issue sanctimonious statements, Brussels was tellingly tight-lipped about the troubling human rights situation which unfolded in Catalonia. After all, the referendum was an “internal Spanish matter,” so why would the EU get involved? We’ve now reached the present day, and the EU’s complicated relationship with democracy continues to manifest itself in new, even surprising ways. This week, Italy’s new government was essentially blocked from assuming power, after president Sergio Mattarella refused to approve the new minister of economy, arguing that his Eurosceptic views could endanger Italy’s eternal commitment to the euro. The move – described by analysts as blatantly unconstitutional – was followed by Mattarella’s appointment of a former IMF director as interim prime minister, who will now be charged with forming a different, more responsible government. “They are with the bankers and the powerful ones. We are with the Italian people,” Matteo Salvini, the leader of Lega Nord, tweeted on Monday, shortly after Mattarella announced his decision to make ex-IMF head Carlo Cottarelli interim prime minister. The defiant message was accompanied by a photograph showing Mattarella, Cottarelli, former prime minister Matteo Renzi, and German Chancellor Angela Merkel and President Mattarella. Salvini is pictured below, rallying a crowd. There will almost certainly be new elections in the coming months, and the Euroskeptic parties, now more galvanized than ever, will likely turn parliamentary elections into a plebiscite on Italy’s relationship with the EU. Long-overdue karma for Brussels? Perhaps.